Architecturally designed with plans already finalised and construction soon to start and opportunity for construction to completed prior to Christmas 2019. 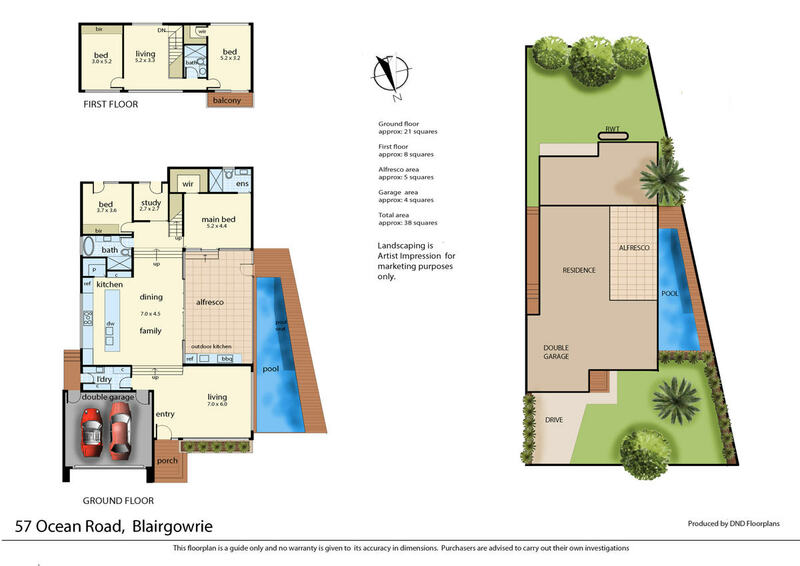 The four-bedroom home with study has been fashioned to maximise the gentle rise of the 743m2 (approx) allotment to allow for a two-storey design showcasing three generous living zones and a vast outdoor entertaining area with alfresco kitchen that opens to the swimming pool and sun patio. Generously sized bedrooms, a master ensuite, two additional bathrooms and a double garage deliver all the comfortable appointments one would expect from a home of this calibre, while a centrepiece kitchen with stone island, quality appliances and walk-in pantry will anchor the open expanse of the primary living zones. To be constructed by local peninsula builder, buyers are afforded the opportunity to select their own colour scheme and finishes to create a truly individual coastal residence reflecting their own personal tastes and preferences to craft the seaside home of their dreams. Sample images of previous project have had interior design and styling completed by Lume Interiors. hockingstuart are proud to be offering this property for sale – for further information please contact Tim Bradler on 0400 312 412.